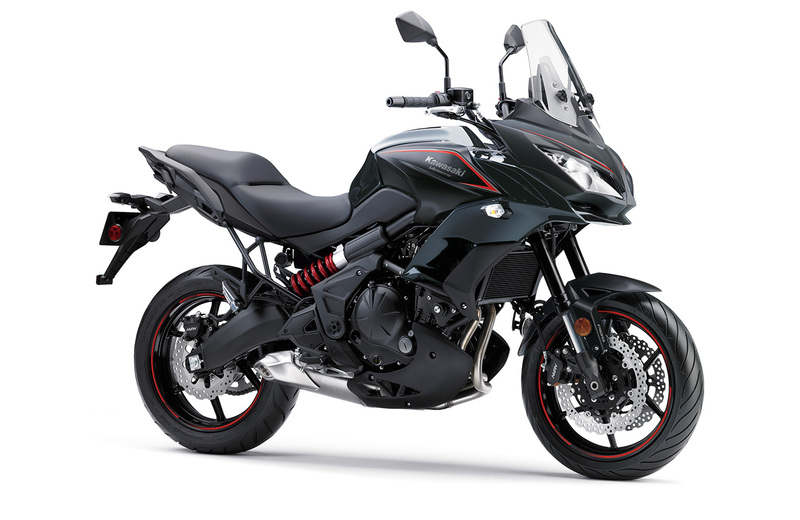 The Versys 650 refuses to be restricted to any one classification. Difficult to explain and impossible to categorise, the Versys 650 is one of those machines that exceeds the sum of its parts. Its combination of long-travel suspension & sporty 17" wheels, a slim, upright riding position and a low-mid range focused Parallel-Twin engine results in a highly versatile package able to offer riders maximum riding excitement in a wide variety of street-riding situations, especially on twisty mountain roads. 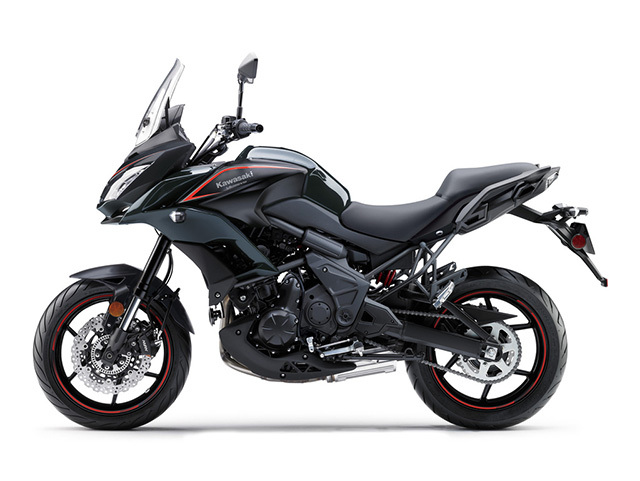 The Versys 650 reflects this fun, sporty nature, while a number of updates to the chassis and a host of new accessory items make it easier for Versys owners to ride longer and farther. 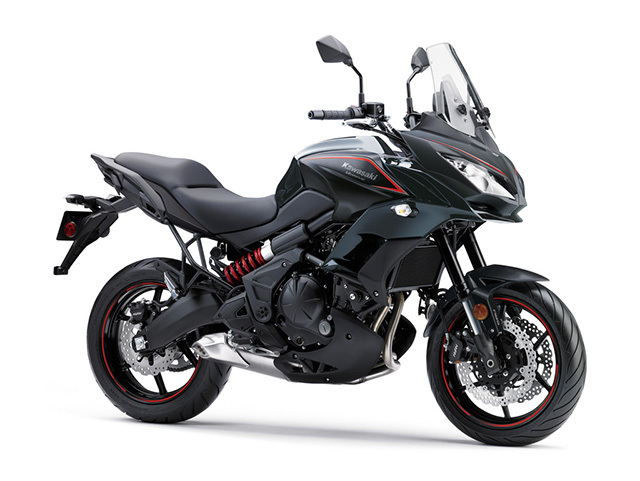 Upper cowl features a horizontally split design that reinforces the compact and sporty image of the Versys 650. 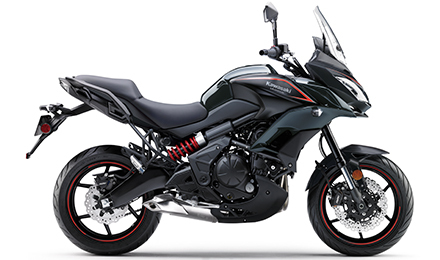 The aggressive new design contributes to a strong Kawasaki identity. 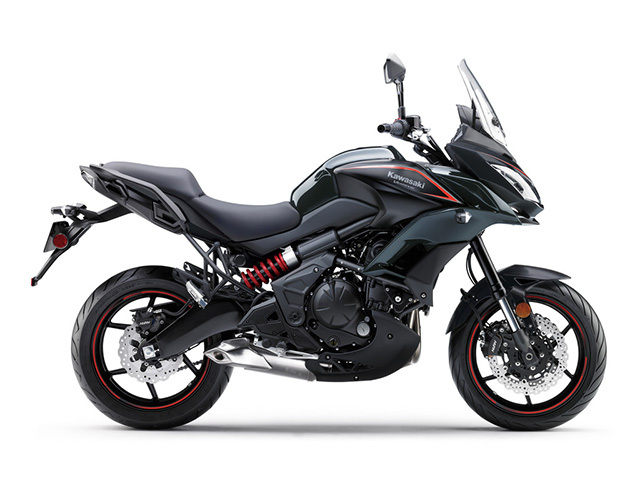 The new layout contributes to a more aggressive, sporty Kawasaki design. While its primary purpose is functional, the chin spoiler below the headlamps adds to the aggressive, sporty looks.